"Tottenham have a very strong team but there hasn't been a new arrival for more than a year and that will change this summer." I was lucky enough to play in Tottenham's 'Legends' game last weekend and let me tell you something - the stadium is a work of art. Honestly, it's one of the best in Europe. Speaking from a players' perspective everything is perfect. All the small details have been thought about. Everything a player needs before a game is there and everything he needs after a game is there. For me it was a pleasure to play there. I told Daniel Levy that the only minus is that is wasn't there when I played for Spurs! The old White Hart Lane certainly had its charms and was a great ground but times are different now and teams need to move and adapt, and it was the right time for a new stadium. A great stadium. They have it now, and they have the training ground. It's a real positive for Spurs, when a player goes to sign they will see two world-class facilities and that's an advantage over other clubs. But in the end it's about what you do on the pitch. They have two major components in place now and the third one - the trophy - is coming I'm sure. 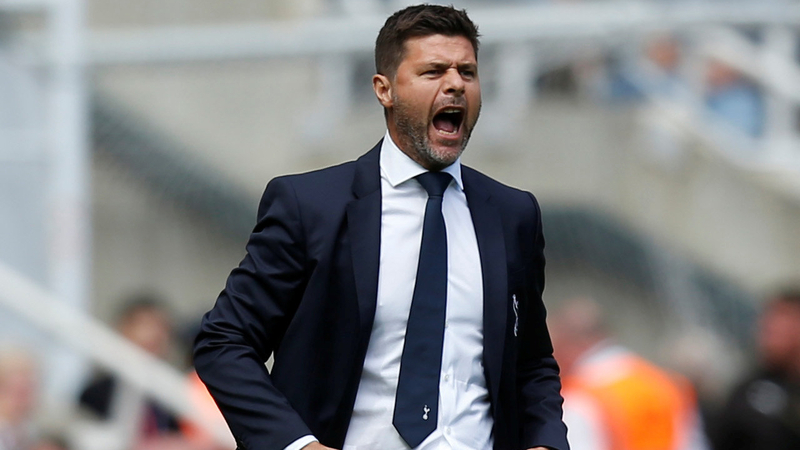 Mauricio Pochettino talked in the week about the club showing the same ambition to on-pitch matters as the club has done off the pitch and I believe they will back him up now. Tottenham have a very strong team but there hasn't been a new arrival for more than a year and that will change this summer. I think the club will go for a striker. Harry Kane is a wonderful player but he needs a rest every so often but also some competition for his place. Spurs will play a similar level of games next season and it's just not possible to play in them all. You need competition to drive you forward and show your best qualities. Making the Champions League is going to be key of course and I was pleased to hear Pochettino's quotes about making the top four after the Crystal Palace win. The manager is the one in charge and he must ooze confidence to inspire the troops. Even if sometimes you are doubtful you keep that inside. 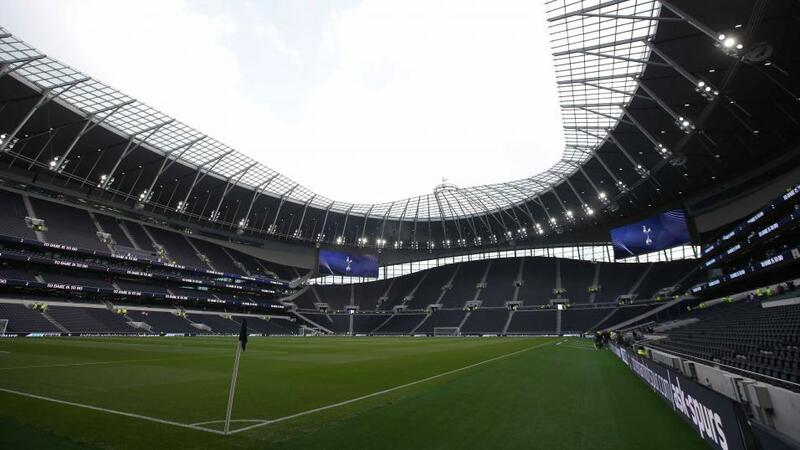 The bad news for Tottenham is that although the new ground is wonderful it won't play the match against Champions League favourites Manchester City for them. The atmosphere will be great but you can't depend on the stadium to do the work for you. The odds say Spurs don't have much of a chance but remember the game at Wembley earlier this season - Tottenham arguably should have drawn that and I cannot write them off here. I certainly think that Spurs will go for the win to give them an advantage in the two-legged tie. The pitch is perfect for both sides' passing games, and as ever the team that comes out on top will be the one that makes the least mistakes. It's basically a Premier League match between two sides who know each other so well. I said it before but the only real difference here is the anthem before the game. Manchester United have hit a bad patch of form at just the wrong time and it's been Wolves who have inflicted damaging defeats on them twice. With all due respect to Wolves, while they're a good Premier League side they aren't of the calibre of City or Spurs, and certainly not of United's next opponents, Barcelona, and of course we need to ask questions about my old side right now. I'm concerned by United's poor form and if they continue to make mistakes like they have been doing recently then let's face it they're going to be punished by Barcelona. They are making their lives difficult at the moment and it's looking tough to make the top four in the Premier League now. United went on that incredible undefeated run when Ole Gunnar Solskjaer took over and this is their first bad patch. You know, when you're winning everything feels natural and good but an important thing is knowing how to react to a defeat. I'm sure Ole knows what to do here and he will have his side fired up and ready for Barca. In football sometimes you have that strange thing where a club can falter against small teams but turn it on against big teams. It's crucial to get motivated for every game, not just the big ones. Sir Alex Ferguson sometimes didn't need to motivate us for the big games, his job and real skill was to motivate us for the small games. I admit, Barcelona are the rightful favourites in the tie, but of course so were PSG, and nothing is certain in football. United can forget their recent form and make a statement here, but - and it's nothing new or original - they must watch out for that man Messi. I'm so surprised, disappointed and sad that Fulham have finally been relegated because I didn't expect that to happen at the beginning of this season. Going straight back down after promotion is a big blow, especially after spending so much money in the summer. Now it's going to be a struggle to keep their talent because those players will want to be in the Premier League and grow and develop. It's going to be so difficult to get back to the top flight. We will never know if sacking Slavisa Jokanovic was the moment when it all went wrong but I didn't agree with it at the time and I still don't. The problem was probably that he stuck so hard to playing the same kind of football that got them promoted. Maybe they should have changed their style a little to get the points on the board, but I admire Jokanovic for sticking to his principles. The sad truth is that they did deserve to go down because they have been conceding so many goals, and when you sack your coach, and then another, all those problems are compounded. Win big on our Football Jackpots!